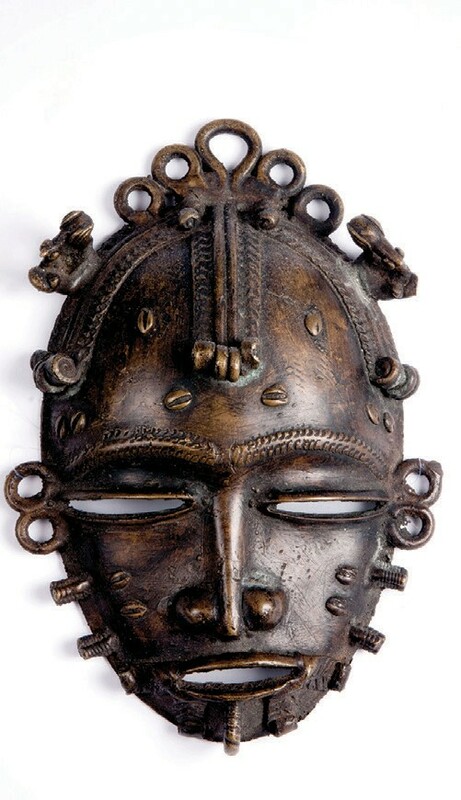 Armstrong Atlantic State University will present “The Metal Artistry of West Africa: From the Kole Collection” April 2 through May 30 at the Fine Arts Gallery, located on the Armstrong campus at 11935 Abercorn St. in Savannah. This exhibition, which is free and open to the public, offers the opportunity to view a portion of the vast private African art collection of Don and Kaye Kole of Savannah. “The Metal Artistry of West Africa: From the Kole Collection” includes works from sub-Saharan Africa, including metalworks handcrafted in Nigeria, Cameroon, Mali and Benin. Curated by African art expert Darrell Moseley, the exhibit offers insight into the rich tradition of African metal sculpture. Drawn from an extensive private collection, this exhibition includes sacred and ceremonial objects created by people in sub-Saharan Africa. Highlights include intricate Nigerian altar pieces, a detailed Dogon ritual harvest bowl, an animal-inspired Edo ritual dance helmet and an elaborate Toma costume used in healing rituals. Collector Don Kole, a Savannah businessman who has made four trips to Africa over the years, first started collecting African art 30 years ago. Captivated by the imaginative designs as well as the symbolic meaning of African art, Kole became a serious collector, traveling the world and working closely with art brokers. Kole enjoys sharing his collection with the public. The Georgia Museum of Art at the University of Georgia featured a portion of the Kole Collection in 2013. “The Metal Artistry of West Africa: From the Kole Collection” will be open to the public Wednesdays through Fridays from 12 p.m. to 8 p.m.; Saturdays 10 a.m. to 4 p.m.; and Sundays 12 p.m. to 4 p.m. For more information, please call 912.344.2556.